Too often, small business owners rely on high-interest credit cards to fund their businesses, thereby saddling themselves with unnecessary debt. While this may be the only available financing route for some, it’s important to fully investigate all viable options before making that decision. I’ve previously published a startup funding primer and, in this article, I’ll present another (frequently overlooked) funding method: factoring. Factoring requires that you establish a business relationship with a financing company (factor) offering this funding option to your particular industry. Factoring is not a loan and does not require a bank’s involvement. Rather, you’ll be working directly with a financing company or funding group. Factoring is known by many names, including: invoice factoring, single invoice factoring, debt factoring, invoice discounting, and accounts receivable financing. Regardless of how it’s branded, the details of a factoring relationship are fairly constant. Entering into a factoring agreement with a financing company generally requires less paperwork than would applying for a bank loan and can result in receiving the desired capital more quickly. At its most basic, ‘invoice factoring’ refers to the discounted sale of an unpaid invoice to a financing company. The financing company initially gives you a percentage of the total invoice. Once the invoice is paid in full (to the financing company), they take their fees and credit you the outstanding balance. The percentages involved vary by company and by the creditworthiness of the payee. Before approving any given invoice, the financing company will check the payee’s credit for an indication of their likelihood to pay. If the payee in question has very good credit, you may be able to negotiate the receipt of a larger upfront percentage. A payee with poor credit may lead to the application being rejected entirely. If you’re approved and you agree to the financing company’s terms – including the advance percentage and associated fees – the financing company effectively owns the invoice. Most often, your client will remit their payment directly to the financing company, generally on a net-30, -60, or -90 basis. The longer they take to pay, the greater the fees charged by the financing company – and the less your eventual net proceeds. Once your client has fulfilled their debt, the financing company will take its fees and send the balance of the invoice to you. Financing companies do have varying procedural requirements for how invoices should be turned over to them. Some require that you permit them to function as your accounts receivable department. Not only will the payee remit payment directly to them, but they may contact your client directly. This could be potentially confusing for a client, especially if you have ongoing work with them. Other financing companies will allow you to handle the collections process in-house and require that you pay them the fees on your advance when you receive the balance due from your client. Account debtor: The client owing money on your invoice (the payee). Accounts receivable: The outstanding invoices for completed work that your clients have yet to pay (what your clients owe you). Advance: The money paid to you by a financing company after it purchases your invoice(s). Advance rate: The percentage of an invoice you’ll receive from the financing company in advance of payment by your client. Collections: The payment(s) received by the financing company on your invoice(s). Concentration: In order to mitigate risk, a factor may allow only a certain percentage (or dollar value) of outstanding invoices to originate with a particular client. Concentration is obviously not relevant to single invoice factoring. Confidential factoring: The practice of a financing group electing not to inform your clients that their invoices are being factored. Factor: Another name for a factoring company or financial group engaging in the business of collecting another company’s current debts in exchange for a percentage of the receipts. Funding period: The time that elapses between the purchase of an invoice by a factoring company and the payment of that invoice by the client. Notice of assignment: The means by which non-confidential factoring companies may notify your clients that you’ve sold their invoice(s) and provide them with a new remittance address. Rebate: The balance due your company from the factor following subtraction of their fees upon receiving your client’s invoice payment. Business owners who are unable to secure approval for a small business loan or who, for reasons of their own, prefer not to pursue the traditional loan process may be well-served by factoring. That said, bear in mind that factoring is only available for companies utilizing an invoicing system for billing and providing goods or services to other businesses or to the government. When evaluating a particular financing group, be sure to verify that your industry is eligible to participate. 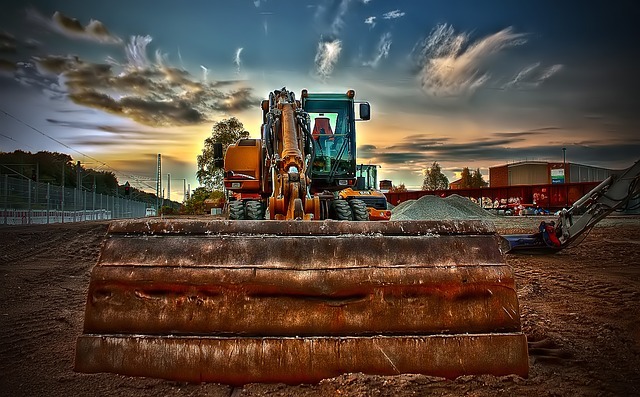 Common industries utilizing factoring include: construction, trucking, manufacturing, consulting, landscaping, import/export companies, and distributors. When is Factoring a Good Choice? If you need to increase your cash flow quickly, factoring may be useful. Factoring will not provide startup capital, but can provide assistance to businesses which have already completed some work. Also, businesses trying to grow but lacking current cash flow may benefit from invoice factoring. Ultimately, factoring is a good choice when the terms suit your business. If you cannot afford to pay the fees on an invoice or if a financing company insists on a longer agreement than you find suitable, it’s likely time to consider other funding options. What happens when an invoice is never paid? It depends on the sort of factoring to which you’re committed, recourse or non-recourse. With recourse factoring, any invoices for which you’ve received an advance and on which the payee has not paid must be repaid to the factor. These agreements generally provide a higher percentage advance due to the factor’s minimal risk. If you’d prefer not to be liable should your client fail to pay their invoice, a non-recourse agreement permits you to keep the advance. The factoring company assumes the risk of client non-payment, resulting in their greatly increased invoice selectivity, lower percentages of advance, and higher fees overall. If you’ve decided to pursue factoring as a means of increasing cash flow for your small business, be sure to perform your due diligence when selecting a financing company. 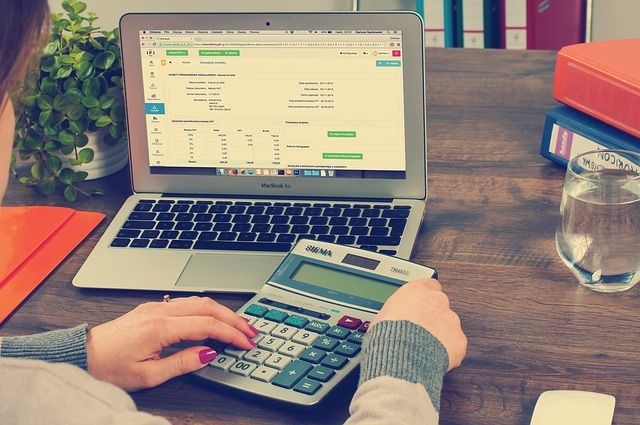 Once you’ve learned the basics of factoring and have familiarized yourself with the relevant terminology, you’ll be better able to navigate a financing company’s website, evaluate their company information, and determine their expectations. This information will serve to demystify the factoring process and enable you to make an informed decision on a suitable course of action. How quickly do I need the money? What are this financing group’s average fees? Can I afford to pay those fees? Will I need to turn over all of my invoices from a particular client? Is this a single invoice agreement? How long a period does this agreement cover? How quickly can they provide an advance? Is this recourse or non-recourse factoring? What sort of reviews has this financing group earned? Am I comfortable handing over client information to this group? One resource currently helping small business owners to better understand their funding options is Fundera.com. (Please note: this is not an endorsement of the company) The Fundera website highlights different funding methods, as well as their attendant pros and cons. Additionally, it facilitates your funding applications directly through the website. However you decide to raise capital for your business, it’s important to note that truly free money is nothing more than a pleasant fiction. Whether you’re paying a fee to obtain an advance on an invoice or paying interest on a loan or credit card, all cash inputs are accompanied by terms and conditions. If you’re not prepared to meet those terms, it may be necessary to get creative and come up with an alternative. Joe has a Ph.D. in Entrepreneurial Leadership and an MBA. He is the author of the upcoming book The Science of Why Most Entrepreneurs Fail and Some Succeed. Are Bank Loans a Viable Funding Option For Startups? Is Purchase Order Financing a Viable Funding Option for Your Business?